Gov. Bindow campaign Council caution Nigeria Ambassador to Mexico, Iyawa Aminu to desist from spreading falsehood on the person of Gov. Jibrilla Bindow of Adamawa State, the council accused Iyawa of spreading false information and making hate speeches against Gov. Jibrilla Bindow to gain relevance. In a statement signed by the spokesperson to the Council, Umar Duhu, the governor’s campaign Council said Iyawa was fond of using opportunities in the social media space to make disparaging speeches against Bindow. “Our attention has been drawn to a malicious attack on the person of the Adamawa State Governor, Senator Muhammad Umaru Jibrilla Bindow by one Ambassador Aminu Iyawa on the just concluded Presidential elections in the state. 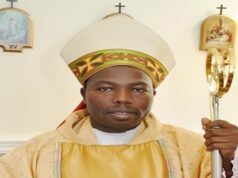 In his spiteful misleading and mischievous postilation, Iyawa claimed, Governor Bindow sold out the state for the PDP Presidential Candidate, Alhaji Atiku Abubakar to garner considerable votes at the polls and he further malignly pointed that, Governor Bindow designed a plan to give Atiku an edge in the polls. In as much as we do not usually answer irrelevant political zealots like Iyawa but considering his position as an Ambassador, we feel the need to keep the record straight on falsehood raised by Iyawa, otherwise he might achieve his aim of misleading people who don’t know or understand the true picture of the political dynamics in Adamawa State. To start with, he has no moral right whatsoever to accuse Governor Bindow of anti-party because even though he was part of the people that formed the APC in 2014 but he worked against President Buhari in the 2015 polls; as at then, he pitched tent with the PDP and he was an arrowhead of the calumny campaign against the President Buhari in Adamawa State. Secondly, he was lucky to get a Federal Government appointment as an Ambassador but Iyawa has never attended any APC stakeholders’ meeting in the state or convene any such meeting in his local government or Ward to push the cause of President Buhari or the APC. Thirdly, how can Iyawa even claim Governor Bindow has failed when he adequately cut down Atiku’s lead votes to 30, 000 votes in the state, Atiku’s own state? Does Iyawa not see what happened in Katsina? The big margin between President Buhari and Atiku? Why is Iyawa blaming a man who singularly ensured massive vote touch for President Buhari? Where are the Iyawas and his cohorts of the state? They should come out and tell us how many they mobilized for the President in their Local Governments, Wards and Units? Therefore, we wish to categorically state that, the analysis by Iyawa is only aimed at tarnishing the exalted image of His Excellency Governor Muhammad Umaru Jibrilla and this falsehood is mischievously orchestrated and fictitious. It is a big surprise that such concocted story was circulated by someone who claims to love Adamawa State and the APC. Therefore, we wish to stress that Governor Bindow is a core APC Member, Loyalist and an absolute believer in President Buhari and his ideals. He is a political guide for all good citizens of Adamawa State and he is a gentleman politician per Excellency who will never indulge in any act of anti-party to the APC. Governor Bindow has tremendous respect and regard for the President and the National Leadership of the APC and consequently, any plan or attempt to disrupt the resounding relationship existing between Mr President, the Party Leadership and Governor Bindow will not only fail but, will definitely not see the light of the day. 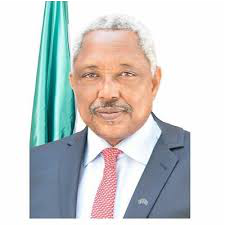 We therefore wish to use this medium to plead with all concerned or those that could be affected one way or the other by that statement credited to Iyawa, to dismiss same as it is an unfair representation of Governor Bindow’s political standing. The publication is only but, one of the few concocted statements by enemies of the APC and Adamawa State, purposely geared to disrupt the peace and our collective existence in the state”. Mass Resignation Hits Bindow’s Cabinet, As Atiku’s Loyalist Aligns with PDP Ahead of 2019.